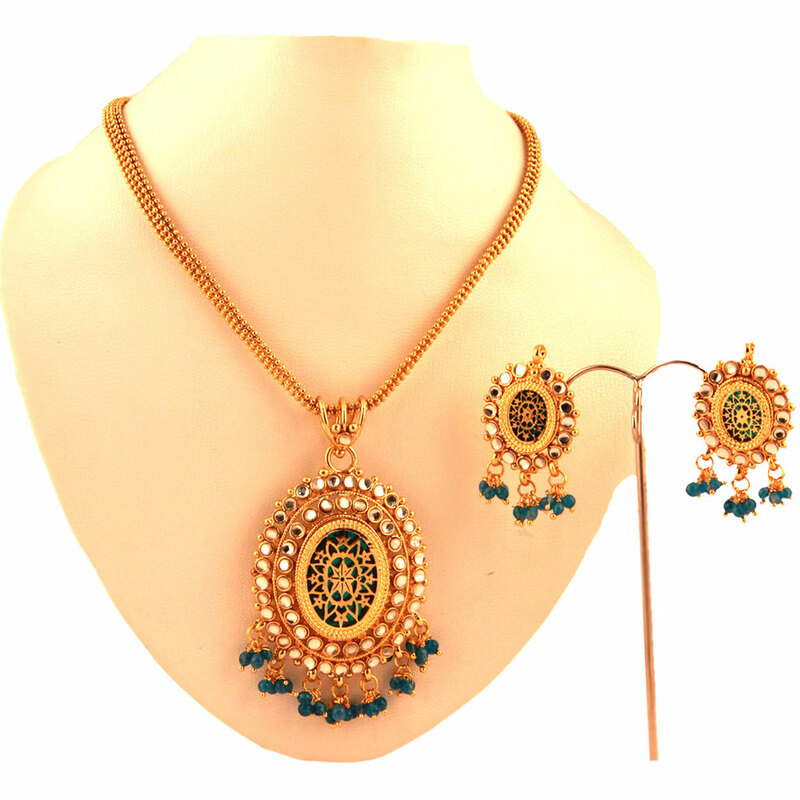 The gold plated brass metal chain of this exquisite jewelry is employed to hold an outsized oval formed pendant is fretted with convoluted metal carving and adorned with good white stones and dazzling inexperienced beads hanging at the bottom. The gold plated brass metal chain of this exquisite thewa necklace is used to hang a large oval shaped pendant is interlaced with intricate metal Read More..carving and adorned with brilliant white stones and dazzling green beads hanging at the base. The matching earrings are a miniature version of the pendant. Show Less.. 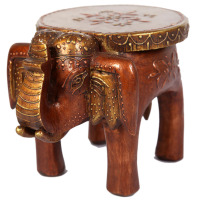 The shinning wood seat and also the body of the elephant on that it's mounted, is adorned with easy design provides superb feel. 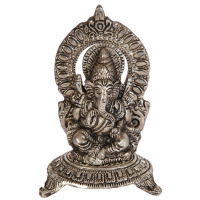 The fantastically designed sculpture of Lord Hindu deity placed on a circular chowki adorned with glorious self lapidarian patterns.